In a day when attention spans have become as short as.. something very short and when tweets can pass as complete thoughts, the art of storytelling sometimes seems to have gone the way of macramé and mood rings. Few people seem to have the patience to concentrate on a good story. This is such a shame too, since as living can often be quite meaningless and a storyteller can impose a bit of order and logic to it all. What we demand nowadays is the immediate payoff and that's about all we have time for. The one line idea. A paragraph? You must be kidding. I am reminded of my first year of English teaching. There was a young lady who always sat in the first row. Angelic Mihriban. Being a brilliant but spoiled student, her English level far outranked the other students in the class. Unfortunately, due to these attributes, she was a kind of eye-roll for all the English teachers at the school. Mihriban would slip from alertness to arm-folded exasperation in a matter of minutes. She would obsess with her imagined split-ends and finally, inevitably, she would wear a cartoon pout and say loudly,"I'm bored." This, for a novice teacher, is equivalent to having a cream pie thrown in your face. Today if something takes more than ten minutes, it's just too damn long. As if we had something better to do besides run to the next distracting element of our lives. 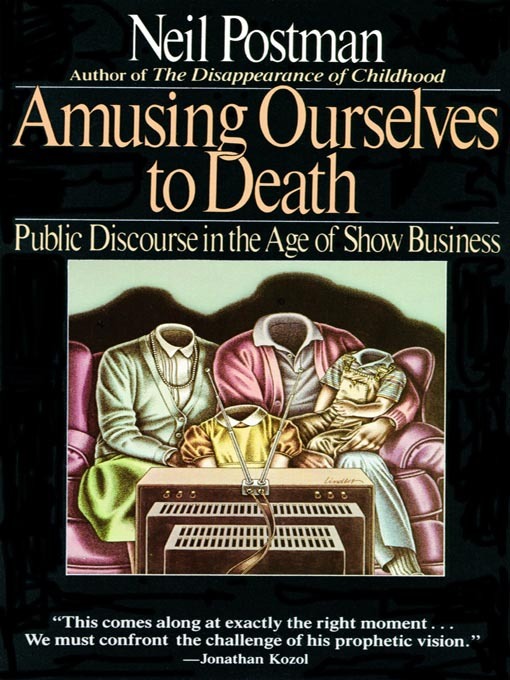 In his book, Amusing Ourselves to Death, writer and educator Neil Postman believes that the attention span of humans is decreasing as communication technology, especially television, become more widespread and more complex. But as refined as television has become at providing us with mindless distractions, that's nothing compared to the Internet. Browsing page after page, site after site on the Internet may have the same effect because it enables- it generally encourages users to pass through pages quickly. Most internet users spend less than a minute on the average website. Lately I have noticed that the more time I spend on the Internet- which is practically ALL the time- the less comfortable I feel reading a book. My eyes tumble down the page and nothing seems to sink in. And I don't like at all. I was beginning to worry I was encountering the initial signs of Alzheimer's disease. Reading used to be more of a pleasure but I increasingly find the experience rather frustrating. Now, it's too much like taking a test. "Our attention span gets affected by the way we do things," says Ted Selker, an expert in the online equivalent of body language at the Massachusetts Institute of Technology in the US. "If we spend our time flitting from one thing to another on the web, we can get into a habit of not concentrating," he told the BBC programme Go Digital. Some have argued that Twitter and Facebook and texting are all merely new ways of communicating and that's a good thing. That this is something natural and every new form of communication undergoes its period of reactionary criticism. 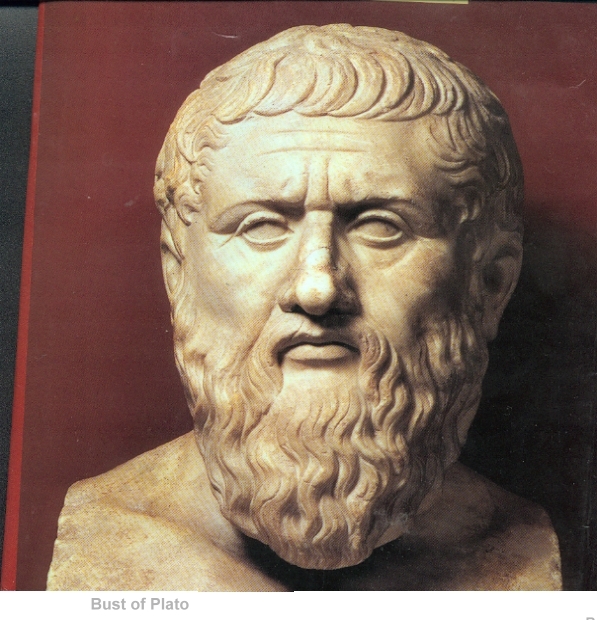 We seem to adapted well to writing and so, it is argued, we shall with twitter and texting. And yet, the brevity of it all reduces the content to a kind of universal equality of information. No matter how interesting a thought may be- world changing even- at the end of the day, this 140 character (or fewer) tweet becomes merely another salvo launched against your attention. Last year, I met a blogger online from Texas. He was quite young- which given his insightful and clever writing surprised me a bit. He had a charming sense of humor and a vivid way of expressing himself. But then, he announced his discovery of the world of Twitter. And almost immediately afterwards, all of his blog posts became cryptic and unconnected or explained. "Some people shouldn't be allowed to throw parties. Like Craig and his brother." or "Of all people, I never expected it from Nat." And that was all. It was like one side of a transcribed dialog or reading graffiti. I am a big fan of the storytelling type of blog, as opposed to the guiding-you-through-your-life or things-you-need-to-know-about... types. If I want expert advice there are plenty reputable sites. Story telling doesn't demand that a person be absolutely correct about every fact. They don't have to know more than I do or pretend to be an expert. However, they do have to allow me to live their own experiences for a brief moment. That's it. And that's enough. Fortunately all is not lost. Technology- the murderer of the storyteller and his audience- surprisingly turns out to be the hero of the tale. There are a growing number of Internet sites devoted to storytelling. I am speaking here- not of fiction or fantasy- but of stories about living. 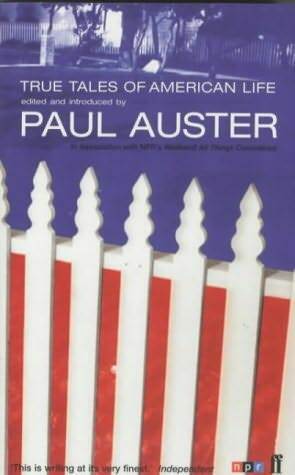 Very similar to Paul Auster's marvelous book, True Tales of American Life, The Experience Project is the world's largest collection of shared experiences. The atmosphere is relaxed and supportive. With over 24 categories, the project helps people connect as well as share their personal history one story at a time. The site was launched in 2007 and has received much praise from ABC's Good Morning America, The San Francisco Chronicle, Wired Magazine and others. If you prefer to escape many of the conventions of Internet altogether, I'd suggest you try The Moth. This is a non-profit storytelling organization, started in New York in 1997 by poet and novelist, George Dawes Green. He sought to recreate the intimacy of a gathering of friends and the stories that friends might tell. Selected storytellers stand before a live audience without prepared notes and simply begin. Each week, there is a new story and new surprises. Of course, some are better than others. Word of these captivating story nights quickly spread, and The Moth moved to bigger venues in New York. Today, The Moth conducts eight ongoing programs and has brought more than 3,000 live stories to over 100,000 audience members. Here is a link from last week's podcast. It is from an actor, writer and director, Craig Chester, who discovers he is being haunted by a movie-star ghost. It's called "Craig Chester: Montgomery Clift: The Sequel"
One of my personal favorites came from Starlee Kine and it's called "Radical Honesty," about her experience with a self-help group whose only aim is complete and brutal honesty. I would really enjoy hearing your comments about the podcasts. I tried to listen to both, the first one stops half way through, and the second is great! it's a very spooky story :) I loved it..reminded me of some of my grandma's stories. I wish it didn't have the laughter effects though, because it kind of sounded more like a stand-up, rather than story-tell. Now, I agree there is so much distraction on the internet..i wish readings and story-tellings were more common around here. I've double checked the links and hopefully fixed them both. In case you aren't aware, it is pretty easy to subscribe to a podcast (like this) to like whenever you wish.. or download to your Mp3 player. Here are the step by step instructions. By the way, My Queen, welcome to my site. Don't be a stranger! Wait, I'm sorry...what was the post about? I skimmed to the comments section after the 2nd paragraph...Just kidding. I really like this post. We actually discussed the phenomenon of the correlation between time spent on the internet and attention deficit in many of my psychology and statistics classes in College. I am a lover of a great story, and grew up hanging onto the words of the greatest story teller I've ever met: my father. I am such a fan that I have a hard time attending any sort of information NOT dispelled in story form! I like to think that at least a crumb of the praise you directed toward story telling blogs might be sprinkled on my own. Vain, perhaps. Thanks for another great post Nomad. P.S.I put a little wanted ad on expatblog.com the week....and well, I just thought the reaction was funny...and that you'd get a chuckle too. BUT in the end, it was actually a success! I am rather curious to know the details of how you first heard about Turkey and decided to move here. A couple of stories of your background would be great too. Did you get a chance to listen to The Moth? That Radical Honesty story is so funny because it is just like listening to a friend pouring their heart out. That's the best kind of tale to listen to, isn't it? As soon as I started reading this, I thought, "Ooh, I have to recommend The Moth!" I loved the Montgomery Clift one... Such a tragic fellow. Good thing I read to the end before commenting. I used to like Garrison Keillor more in the past. It's funny. As his writing became better, his monologues became less interesting for me. I am not sure why.